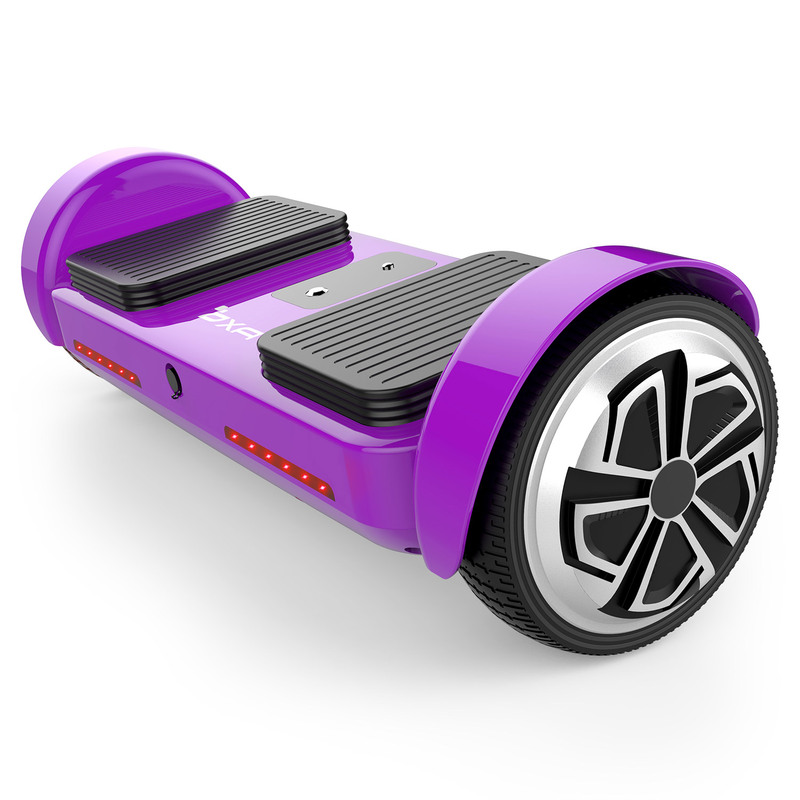 THE 3rdGENERATION INTELLIGENT CONTROL SYSTEM-This hoverboard can precisely monitor the changes in the user’s weight and center of gravity, then automatically level for an easier mount and extremely smooth ride. 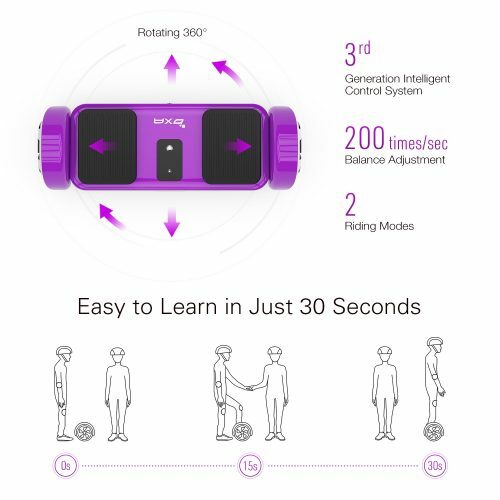 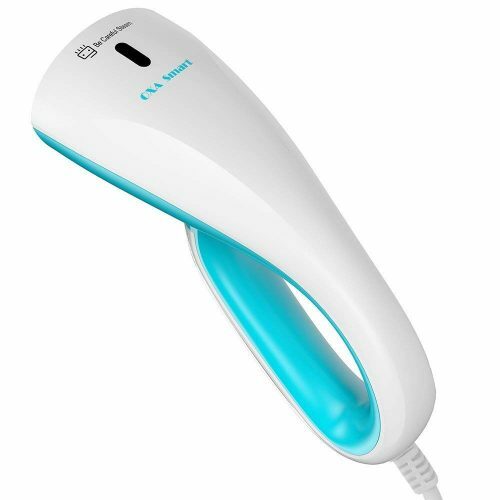 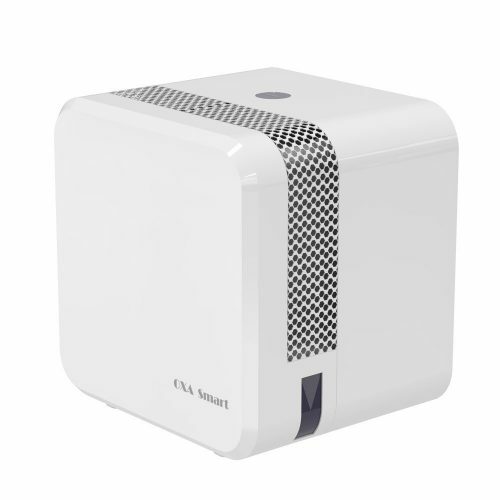 It can be easily controlled within 30 seconds. 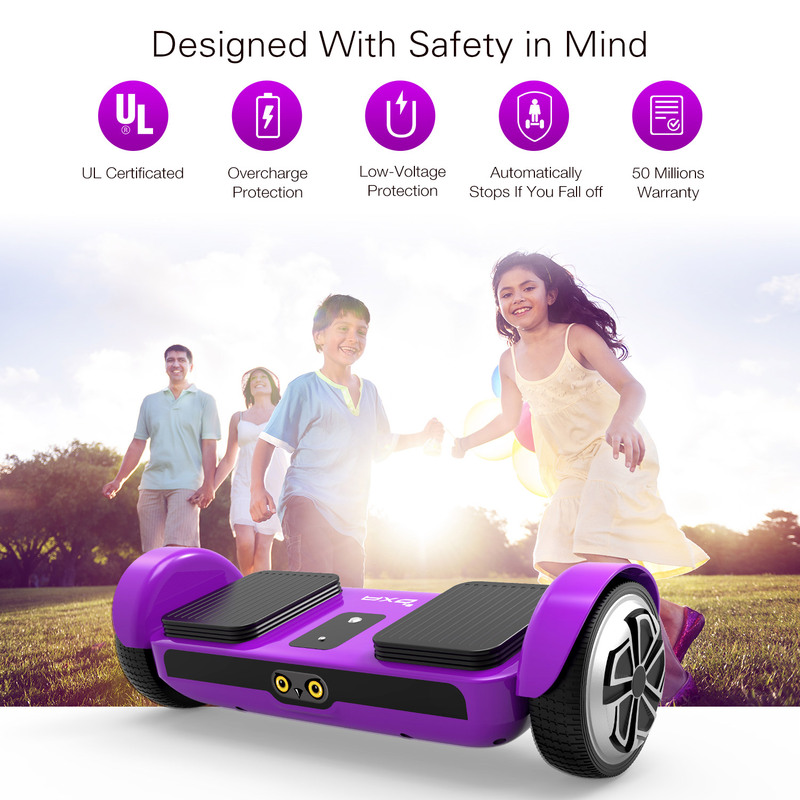 SAFETY GUARANTEED — UL 2272/2271-CERTIFIED-Equipped with overheat protection, low-battery protection, low-weight protection, over-speed protection and slope protection for your safety – which was regarded as an absolute prerequisite. 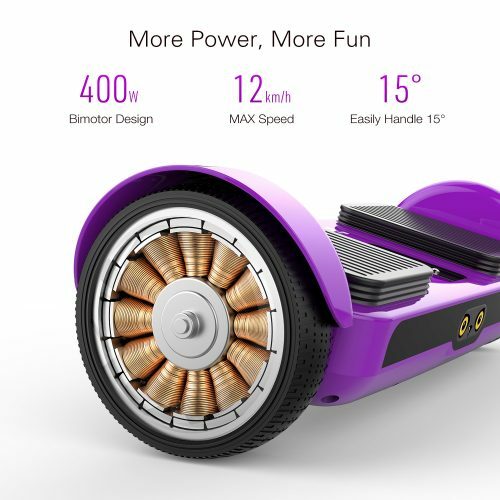 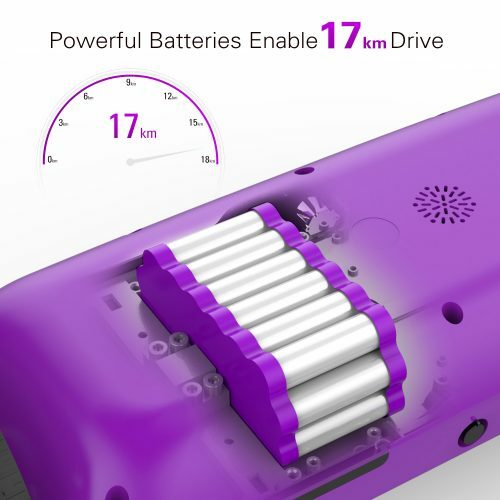 17KM SUPER-LONG RANGE WITH ONLY A 3-HOUR QUICK CHARGE-With a charging time of only 3 hours, it brings you a max range of 15-17km on a single charge. 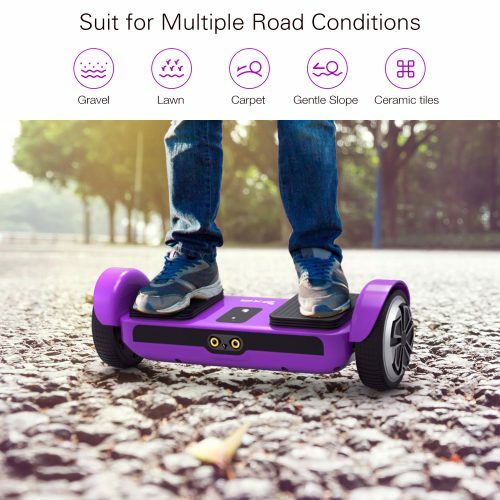 There’s no need to worry about the hover board powering off. 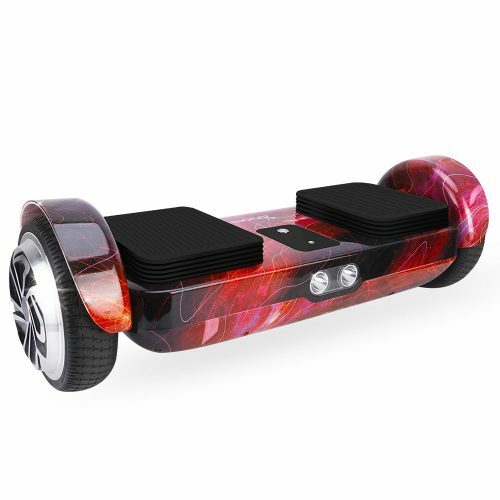 45°CLIMB AND 330LB-LOAD WITH UNBREAKABLE BODY-It brings you a max cruising speed of 7.5 mph, and can climb a whopping 45° angle slope; far more than peers’ 15° slope climb. 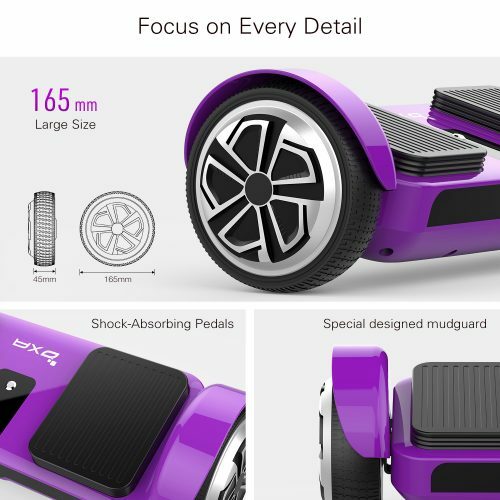 It is also has the strength to bear the weight of a car without deformation. 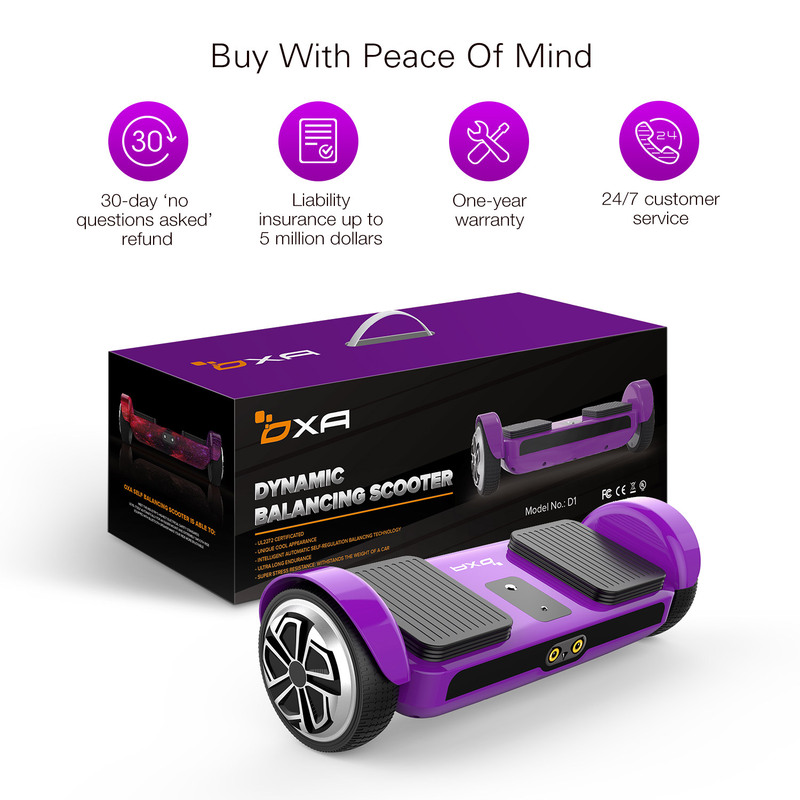 TWO RIDING MODES-The non-self-balance mode is smooth, steady and suitable for children and beginners, whilst the self-balance mode is flexible, smart and suitable for people familiar with riding hoverboards. It would make a great gift for your friends or family members!